15 Players split into 3 groups of 5. Passing in a number sequence 1-2-3-4-5. 1 player from each team presses another colour e.g. red press blue, bue press yellow yellow press red. 8 players, Reds must keep the ball from the yellows. The ball must move through the square from one side to the other. 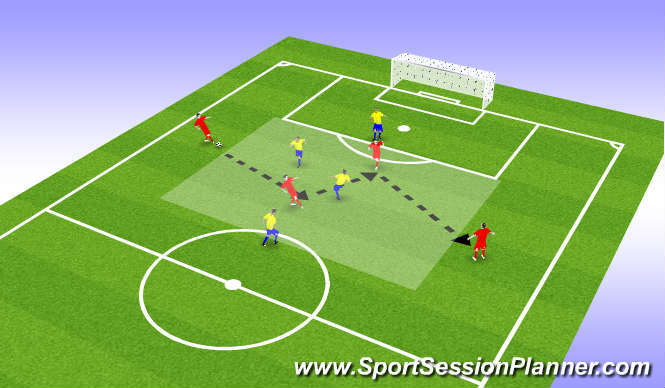 If yellows win the ball they begin to transfer the ball from the opposite sides also going through the square. 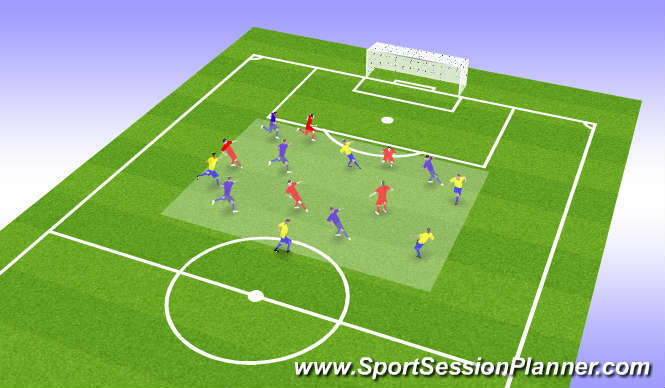 Introduce conditions to the outside players: 2 touches maximum. 4. Quality of recieving skills.